To stop the menace of pesky messages, telecom regulator Trai has said only100 SMSes in a day per SIM card will be allowed at concessional rates. For every SMS beyond the cap of 100 SMSes, a charge of minimum 50 paise will be applicable, the regulator said. 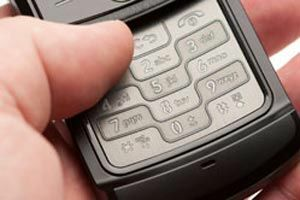 Subscribers have been facing the menace of receiving unsolicited promotional SMSes from unregistered tele-marketers who often take the advantage of concessional SMS offers by telecom operators. Telecom Minister Kapil Sibal had last week said he too was a victim of the unsolicited communications. "Every two minutes I get such SMS," he had said. Trai is taking up the issue ofpesky calls and SMSes, he had added. "To prevent unregistered telemarketers from misusing such SMS packs or tariff plans for sending bulk promotional SMS, a price restraint has been placed on sending of more than 100 SMSes per day per SIM at a concessional rate," Trai Principal Advisor (CA & IR) N Parameswaran told reporters here. While the subscriber is free to send SMSes beyond this number, all such SMSes sent beyond 100 SMS per day per SIM shall be charged at a tariff of minimum 50 paise, he added. "The changes effected by the regulations and the order have to be implemented within fifteen days," he said, adding that these measures are initial steps and more will follow. Operators have also been asked to put in place a solution within three months, which will ensure that no commercial SMS are sent having same or similar characters from any source number. "The solution will ensure that not more than 200 SMS with such similar 'signature' are sent in an hour," he said. However, registered telemarketers, transactional message sending entities and telephone numbers exempted by Trai are excluded from this provision, Parameswaran added.